This is a very odd book. 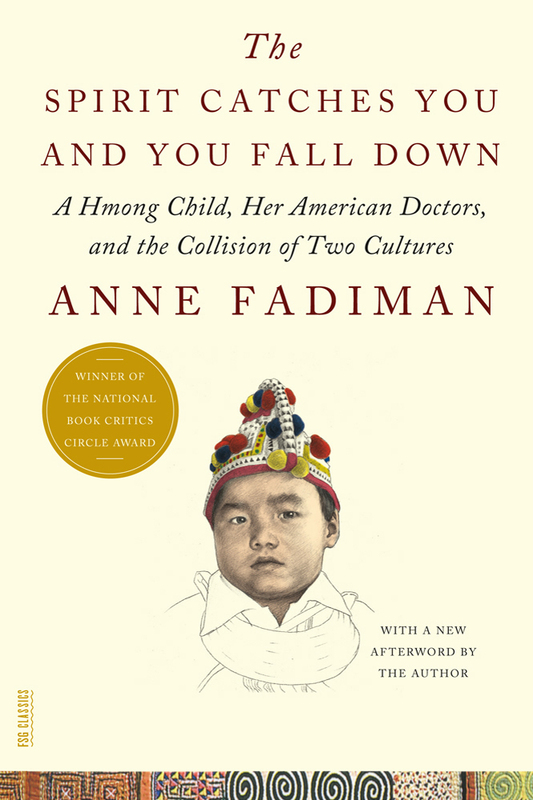 It’s about a Hmong child with epilepsy, and struggle of the American medical establishment to treat her and to deal with parents who operate from a very different cultural mindset (they halfway believe in allopathic medicine, but they also sincerely believe in ghosts and magic and think that her disease is caused by spirits, for instance). I’m not sure that there is any easy lesson to be drawn from the story in this book. What it asks, in a way, is whether an immigrant group can live in America without assimilating to dominant cultural attitudes. And the answer is…it can. But it’s not quite able to answer the question of whether that group should be allowed that freedom and independence. In a way, it’s chosen the best and most startling incident for its narrative, because a girl’s life is very literally at stake. However, the truth is murky. It’s not at all clear that she would’ve been much better off if the doctor’s letters had been followed to a T. In some ways, it seems like her life would’ve been worse off if she’d been born to a white American family that believed her disability was something to be eradicated, rather than something to be adapted-to and ameliorated. Very interesting book. I would probably have more to say about it if I wasn’t writing this at 1 AM. Has anyone noticed that staring fixedly at nothing is a great aide to thought? A boom that just tells a story and doesn’t package it with a tidy moral? Sounds great! The sad thing is that this is as uncommon as it is. Haha, yeah. I generally expect pop nonfic to be more in the Malcolm Gladwell mode and to come out with some broad lesson about How Things Are. However, this book also doesn’t err in the other direction and do the whole, “There are two sides to every issue thing.” The book is not afraid to make judgments about specific things: it’s not afraid to say that this doctor has somewhat racist attitudes or that this thing the parents did might’ve harmed their child. What it doesn’t do, though, is try to draw huge broad conclusions from those incidents. I mean…it tries to do that, but in the end it concludes that maybe those conclusions just can’t be drawn.